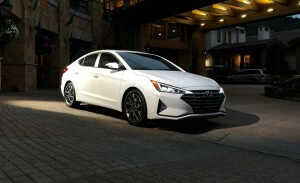 Korean automaker Hyundai just released its pricing for the 2019 Hyundai Elantra, which made its global debut in Utah last month. 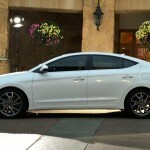 The new car’s base model, the SE trim, will have a starting price tag of $17,985, a mere $150 more than last year’s model. 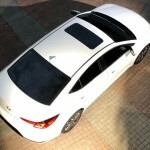 The Elantra SEL trim, which sits above the base model, now includes a suite of SmartSense safety and convenience technologies. This will come standard from the SEL trim and up. 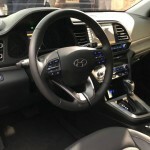 The tech suite includes forward collision-avoidance assist, lane keep assist, and driver attention warning. But that additional tech means a small surge on the prices, too, though still not much to get your eyes out of your socket. 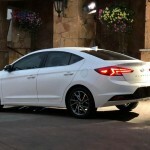 The 2019 SEL trim will start at $20,285, up $550 from last year. The livelier Sport model will set you back $23,285 for a six-speed manual version or $24,385 for one with the seven-speed dual-clutch automatic. The prices show an increase of around $600 across the range. The Value trim level returns again for the 2019 model year. This time, it will sell for $21,285 or $550 more than the current generation’s price. The Eco trim’s base price is now $21,835 and the top-of-the-line Limited gets a $23,485 price tag, up by $500 from last year. 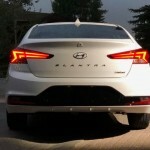 The increase in prices is due to the fact that the 2019 Elantra compact sedan is getting some cool new features such as a new hood, front fenders, and a new set of headlights that emphasize a redesigned grille. At the back, there’s a new rear fascia and taillights that is angled towards the new trunk lid. 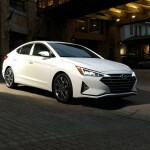 A refined exterior and interior space are the focus of the 2019 edition of the compact sedan. Hyundai particularly wants the Elantra to maintain its design character but have a set of new desirable features that come with an affordable price tag. 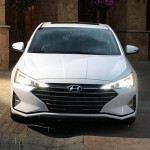 Since it was launched in 1991, Hyundai has sold more than three million Elantras. The sedan, now on its sixth generation, is available in six trim levels—SE, SEL, Value Edition, Limited, Eco, and Sport. Depending on the trim level, there will be three engine options: a 2.0-liter four-cylinder engine with 147 horsepower, a 1.4-liter turbo-four with 128 horsepower, and a 1.6-liter turbo with an estimated 201 horsepower. All models below the Sport trim will get a six-speed automatic transmission, except for the Eco trim which will be paired with a seven-speed EcoShift dual-clutch. If you want the feel of a manual transmission, you can opt for the Sport model or the six-speed manual option available for the SE trim.